Take a look through the site to learn more about Simon’s services, and please don’t hesitate to get in touch for free quotes and advice. Simon Sharpin worked in landscaping and small-scale civil construction in the Snowy Mountains area of NSW from 2000. 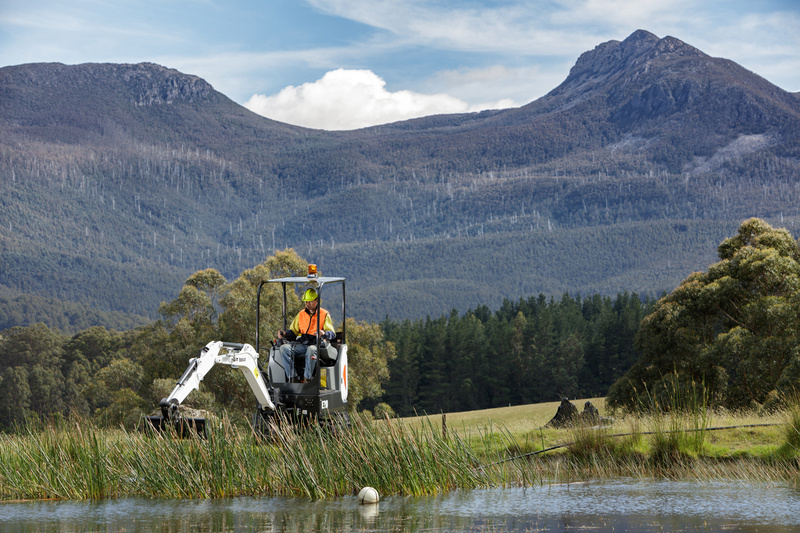 Simon gained experience in all aspects of landscaping work in Jindabyne and Thredbo ski village. Thredbo is a particularly challenging environment, with steep terrain and difficult access – Simon worked here on the rehabilitation of the Thredbo landslide site. Simon also spent several years doing regrowth and scrub clearing contract work for Snowy Hydroelectricity under power lines and around assets. Bringing this valuable experience to Tasmania allows Simon to quickly identify what will work and where, to deliver his specialised services with confidence.